To get around this I tagged my Google Product URLs as per Google Analytics URL Tagging Tool but found that all of my rankings instantly dropped significantly. The second method is the easiest to implement, but only shows you traffic that comes directly from the Google Product search pages. If you have products that are blended into the main Google results page (universal or blended results) this won’t help. Why? Because the filter looks for visits coming from www.google.com/products&#8230;. and changes the source to reflect that it’s a visit from Google Products. 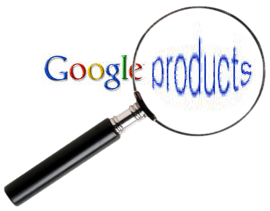 When a person clicks on your product listing in the main Google results, the referrer is just www.google.com and the filter does not apply, so the visit appears as google/organic. Apply both #1 and #2. By adding campaign tracking parameters to the URLs in your Google Base/Merchant feed, you will be able to track if they are clicking on your listing whether it’s coming from the main Google results or from the Google Product search results. And by also applying the advanced filter, you’ll be able to segment which set of results the visits come from. I’ve tested this method for the local business listings and deem it safe, but have only been able to test it in a very limited fashion for Google Product listings. So before you go off and change thousands or product URLs and set up countless redirects, be sure to test it yourself on a smaller scale to be sure it works for you. Don’t say I didn’t warn you.